This application is a continuation of U.S. patent application Ser. No. 12/167,820 filed on Jul. 3, 2008, now U.S. Pat. No. 8,160,670, which is a continuation-in-part, and claims the benefit of priority of U.S. patent application Ser. No. 11/322,165, filed Dec. 28, 2005, now published as U.S. Patent Publication No. 2007/0149875, which is incorporated herein by reference. The active-agent containing devices may be analyte sensors in certain embodiments, or may be a structure that is positionable near an analyte determination site (a bodily fluid sampling site), e.g., near an analyte sensor such as near a wholly or partially implantable sensor. In certain embodiments, the structure may be a sensor insertion device, drug delivery device (e.g., insulin delivery device), etc. In certain embodiments, the active agent-containing device may be an active agent delivery device. In further describing the subject invention, the invention is described primarily with respect to an active-agent-containing analyte sensor, where such description is for exemplary purposes only and is in no way intended to limit the scope of the invention in any way. It is to be understood that an active agent may be associated with devices other than analyte sensors or otherwise contacted with an appropriate area of a patient. Active agents may be applied to the sensor by any of a variety of methods, e.g., by spraying the active agent onto the sensor or by dipping the sensor into the active agent, by coating the active agent with a slotted die, or otherwise immersing or flooding the sensor with the active agent. In addition, the active agent may be incorporated into the sensing layer formulation, or redox polymer formulation, the flux-limiting membrane formulation. wherein the determining over a period of time provides for monitoring the level of the analyte in the subject. 2. The method of claim 1, wherein the analyte is glucose. 3. The method of claim 1, wherein the antiglycolytic agent is fluoride, glyceraldehyde, mannose, glucosamine, mannoheptulose, sorbose-6-phophate, or trehalose-6-phosphate. 4. The method of claim 1, wherein the antiglycolytic agent is a glyceraldehyde or a precursor thereof. 5. The method of claim 4, wherein the glyceraldehyde or precursor thereof is present in an amount that ranges from about 1 microgram to about 2 milligrams. 6. 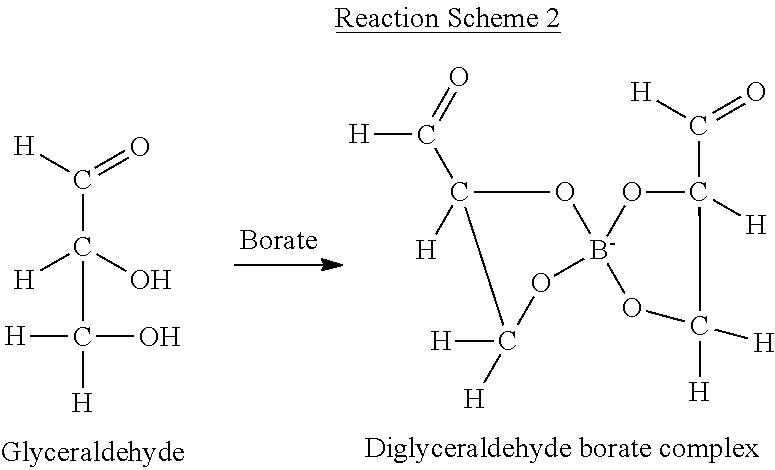 The method of claim 1, wherein the chelating agent is boric acid. 7. The method of claim 6, wherein the boric acid is present in an amount that ranges from about 1 microgram to about 2 milligrams. 8. The method of claim 1, wherein the chelating agent is a transition metal. 9. The method of claim 1, wherein the sensor further comprises a membrane disposed over the sensing layer. 10. The method of claim 9, wherein the membrane comprises the antiglycolytic agent or precursor thereof and the chelating agent. 11. 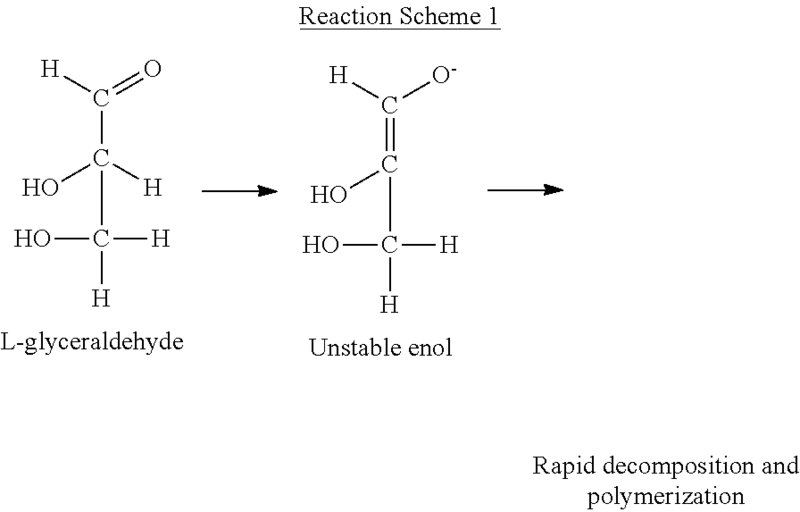 The method of claim 10, wherein the antiglycolytic agent or precursor thereof and the chelating agent are disposed on the surface of the membrane. 12. The method of claim 10, wherein the antiglycolytic agent or precursor thereof and the chelating agent are incorporated into the membrane. 14. The method of claim 13, wherein the analyte is glucose. 15. The method of claim 13, wherein the antiglycolytic agent is fluoride, glyceraldehyde, mannose, glucosamine, mannoheptulose, sorbose-6-phophate, or trehalose-6-phosphate. 16. The method of claim 13, wherein the antiglycolytic agent is a glyceraldehyde or a precursor thereof. 17. The method of claim 16, wherein the glyceraldehyde or precursor thereof is present in an amount that ranges from about 1 microgram to about 2 milligrams. 18. The method of claim 13, wherein the chelating agent is boric acid. 19. The method of claim 13, wherein the chelating agent is a transition metal. 20. The method of claim 13, wherein the sensor further comprises a membrane disposed over the sensing layer. 21. The method of claim 20, wherein the membrane comprises the antiglycolytic agent or precursor thereof and the chelating agent. 22. The method of claim 13, wherein the antiglycolytic agent or precursor thereof and the chelating agent are disposed on the surface of the membrane. 23. The method of claim 13, wherein the antiglycolytic agent or precursor thereof and the chelating agent are incorporated into the membrane. International Search Report/Written Opinion for PCT/US2006/062607 filed Dec. 26, 2006. Ricardo et al., "Borate Minerals Stabilize Ribose," Science, vol. 303, pp. 196 (2004).